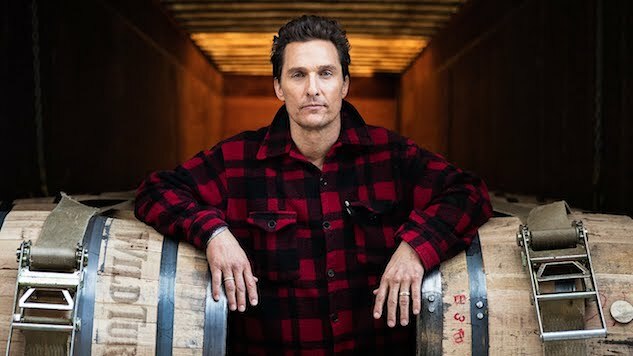 When we reported that Bob Dylan had partnered with the creator of Angel’s Envy to create his own line of whiskey, it would be easy to think that the celebrity endorsement had finally jumped the shark. Except Dylan isn’t just lending his name (or singing in a commercial flanked by a bunch of negligee-clad models). He’s a full-on creative partner. And he’s not the first one to take an active roll in developing a new line of booze. Here’s a handful of Hollywood celebrities that have planted their flags in the spirit space. Crafted to be a tequila that you can drink all damn day without getting a hangover, Clooney founded Casamigos with two friends while traveling in Mexico in 2013. Last summer, the brand sold to Diageo for upwards of $1 billion after doubling its volume of sales in 2016, with distribution in 20 countries. Still, props for Clooney for shepherding the brand into existence. The prolific director first encountered Signani—the signature spirit of Bolivia—in 2007 while working on Che when his Bolivian casting director gave him a taste while they were in Madrid. But it took him more than six years to get his version imported to the States. Produced with one of Bolivia’s major distillers, the spirit taps into a history that dates back hundreds of years, derived from vines brought to South America by Spanish Jesuits, where the Muscat of Alexandria grapes used in the distillation process thrive in the high-elevation Andes. Manufactured in Newfoundland and Labrador, Canada, Crystal Head was conceived by Aykroyd and artist John Alexander in 2007 as one of the first additive-free vodkas on the market. It’s quadruple-distilled and filtered seven times—with the final three through Herkimer diamond crystals. The signature bottle took two years to successfully execute, and was served at the premier of Indiana Jones and the Kingdom of the Crystal Skull. Details on this one are still a bit sketchy, but as TMZ reports the Rock has officially filed papers to secure “Mana” (a terms that ties to his Polynesian heritage, referring to a supernatural essence that exists in all things ) for use on his tequila brand. The man has already conquered Hollywood, and candidly we’d rather see him step in the spirits game before politics—at least for now. After showing up still slightly inebriated on The View after a long night of drinking with George Clooney—a night that included more than a few shots of Limoncello—DeVito suffered a legion of pranks, like cases of the stuff being sent to his home. So, in a perfectly absurd response, he embraced the association by creating his own Premium Limoncello, made from Italian Sorrento lemons with a label that includes a scratch-and-sniff logo. Fergie became owner of Voli Vodka in 2012, lending her celeb cred to the company’s Lyte vodka, which has between 25 and 40% fewer calories than your typical vodka. The low-cal bottles come in six flavors: original, lemon, orange vanilla, pear vanilla, raspberry cocoa, and espresso vanilla. And while Fergie herself may anchor her celeb status to singing, she’s also appeared in several films, including real gems like Poseidon, Planet Terror, and the voice of a hippo girlfriend in Madagascar: Escape 2 Africa and as Jezebel in the animated flick Marmaduke.